Wow! I can hardly believe that this year is almost over, and I've taken at least one photo a day :) I love having these photos as little memory keepers! This week was definitely one of those "itching" weeks--you know when you are ready for a break (yay for Thanksgiving! ), work feels a little ho-hum, and you start dreaming of apple pie and a day with family. It's been one of those. Any of you have one of those weeks too? Caught Mac on the bed. Again. 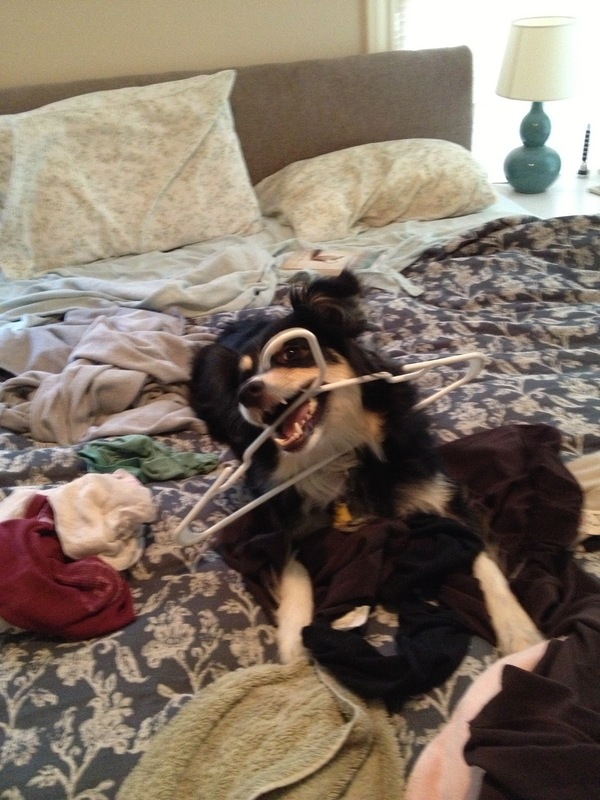 This time he was eating a hanger. Goodness. Did prenatal yoga with Christmas socks on. Let's just say we have cold floors, and I love fun socks! Headed out for a breakfast date with my hubby. We seem to have a thing for morning dates--maybe because they involve coffee and breakfast sweets!